Clinic Synopsis: In today's global society, the diversity of influence in all areas of education continues to grow in importance. In this clinic, percussion duo "To Hit" will introduce instruments unfamiliar to most westerners, including North Indian Tabla, Zimbabwean Mbira, and Middle-Eastern Frame Drums, providing resources for discovering and learning music from other cultures, and demonstrating how they have incorporated them into today’s post-modern musical landscape. Please visit our website at: http://www.tohitthings.com/cultures.php. Clinician Biographical Information Tim Mocny is an active performer, teacher, and arranger based in Michigan. 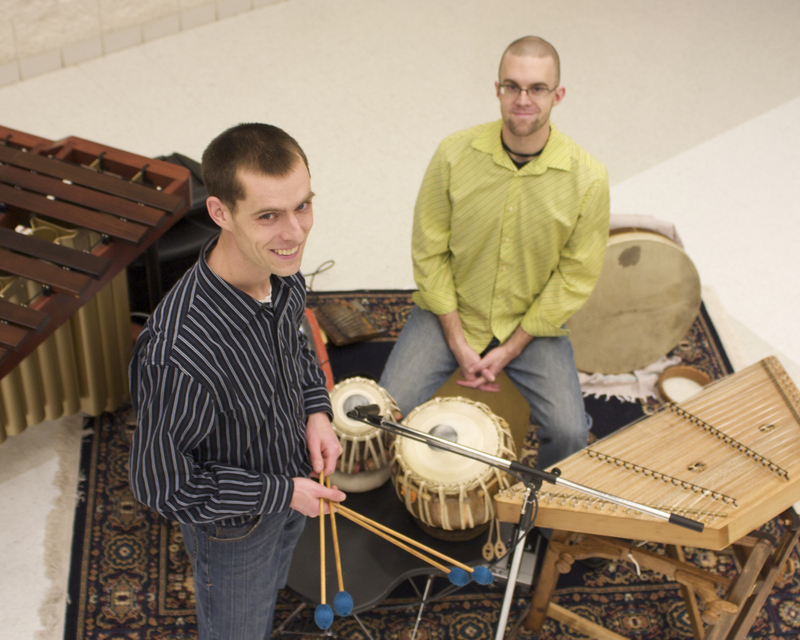 With world percussionist Mike List, Tim recently cofounded the exciting percussion duo "To Hit," which features his marimba playing and original compositions. He also enjoys performing with the Saginaw Bay Symphony Orchestra, the Traverse Symphony Orchestra, the Great Lakes Chamber Orchestra, and the Midland Symphony Orchestra and serves as principal timpanist for the Baroque on Beaver Festival. Tim also teaches music appreciation and theory at Central Michigan University and is the percussion arranger for the Chippewa Marching Band at CMU. Mocny coaches drumlines and creates marching percussion arrangements for a number of area high schools, including coordinating the show design for the Mt. Pleasant High School competitive winter drumline. He also teaches piano and drum set at an area music shop in Mt. Pleasant. Second Clinician Biographical Information Mike List is a percussionist / drummer who plays a variety of western and non-western instruments. He graduated from Central Michigan University with bachelors and masters degrees in percussion performance. At CMU he studied with Dr. Andrew Spencer. He has also studied tabla with Manoj Kadam in India and with Navjot Sindhu in the USA. He has participated in rock bands, jazz combos, contemporary art music percussion ensembles, symphony orchestras, as well as eastern and western fusion groups. 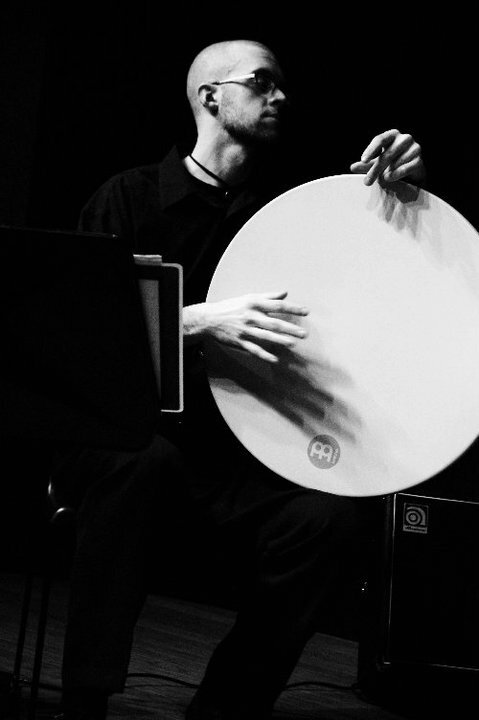 He currently works with the percussion duet "To Hit" and the middle eastern fusion group "Wisaal."